Ground Floor, Block G, Hatfield Gardens, 333 Grosvenor Street, Pretoria, 0083, South Africa. Eligible requests will receive a response within five working days. If your request for advice qualifies for the service, experts from our resource pool will provide a rapid, tailored response. Click here to submit a RAS request. What has the Rapid Advisory Service team worked on so far? The CRIDF team has responded to a large number of wide-ranging rapid advisory service requests from a variety of stakeholders. Below you can find examples of the types of support the team has provided so far. 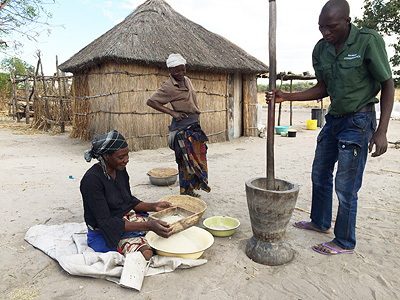 The Kavango-Zambezi Transfrontier Conservation Area (KAZA TFCA) is an important Southern Africa Development Community (SADC) initiative joining protected areas in five SADC countries across two major transboundary river basins. The TFCA has vast water resources, wildlife and tourism potential. The TFCA is managed through a Secretariat based in Kasane, Botswana. The Secretariat requested a meeting with CRIDF to determine whether there was potential to jointly explore opportunities for climate resilient growth in the TFCA, with a view to supporting livelihoods in the local communities. Given the clear overlap between KAZA’s and CRIDF’s mandates, CRIDF mobilised a Rapid Advisory Service (RAS) team to attend the meeting in Kasane and present our broader service offering. During this initial engagement, CRIDF recognised that a key element missing in KAZA’s development plans was the concept of using water as a means of improving livelihoods, protecting natural resources and reducing human–wildlife conflict. This meeting ultimately led to an extended partnership between KAZA and CRIDF with a shared goal of supporting the livelihoods of local communities through the provision of small-scale water supply interventions. As a result of the initial RAS, we have since led a series of water infrastructure and strategic studies on behalf of KAZA. These have included funding a borehole construction scheme in Namibia and supporting scoping and feasibility studies in Zambia, Zimbabwe and Angola. 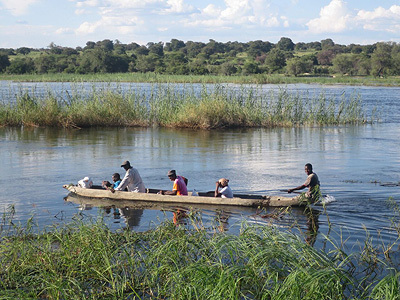 The Permanent Okavango River Basin Water Commission (OKACOM) acts as a technical advisor to its member states on conservation, development and utilisation of water resources of common interest. The Commission’s Secretariat (OKASEC) requested CRIDF’s support in facilitating the first of a series of national and regional visioning workshops. Through the RAS, CRIDF quickly mobilised a workshop facilitator to act as an informed ‘honest broker’. CRIDF’s support was well received, and OKACOM requested our involvement at the remaining national and regional workshops. The workshops CRIDF facilitated resulted in the development of an agreed basin-wide vision. This vision balances development, promotes growth and meets the needs of the poor, while maintaining an appropriate level of protection for the iconic and near pristine ecosystems of the basin. This initial support to OKACOM catalysed a series of ongoing requests for longer term technical assistance. These included developing funding proposals and communication strategies, as well as the World Bank-implemented Multisector Investment Opportunities Analysis (MSIOA). Illovo Sugar (Maragra Ltd) in the Lower Incomati floodplain, Mozambique. Illovo Sugar out-growers (smallholder sugar cane farmers who live and work on the estate) along the Incomati floodplain were highly vulnerable to flooding. Illovo approached CRIDF for technical assistance on flood risk management (FRM) to help reduce flood vulnerability for the Illovo Sugar estate. Through the RAS process, CRIDF quickly mobilised a team to visit and scope out the Lower Incomati floodplain and the Illovo, Maragra sugar estate. 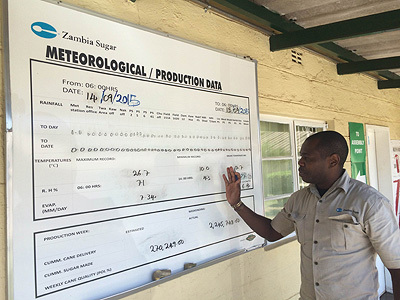 We found that a second sugar estate was located 50km upstream of Illovo: Tongaat Hulett. The key finding of the site visit was that both sugar estates were constructing flood defences for their own protection, without realising the broader implications of the defences upstream and downstream. The findings from this RAS visit confirmed that the next steps of the work fitted into CRIDF’s mandate: the project was potentially transboundary, required water infrastructure, had climate resilient requirements and could help reduce poverty and flood vulnerability. We therefore met the senior management teams from both sugar estates, together with ARA-Sul (the government agency responsible for operations related to the Mozambique part of the Incomati River). At this meeting, we proposed funding the build of a 2D hydraulic model of the Lower Incomati. With CRIDF support, the model would enable key stakeholders to holistically assess flood risk management and the impacts of different flood risk management infrastructure scenarios. CRIDF’s work has created a win–win scenario: while the private–public partnership now has improved flood risk management that is economically beneficial for all parties, the out-growers and poor communities are less vulnerable to flooding and more resilient to climate change.